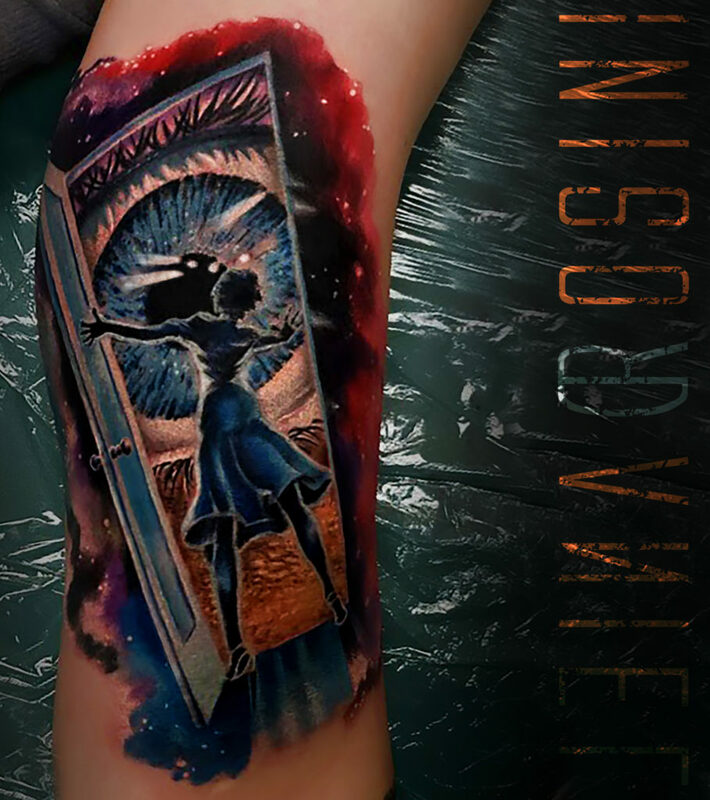 "The world without art would be meaningless to us if there is no light and color, which opens up our minds and expresses passion." 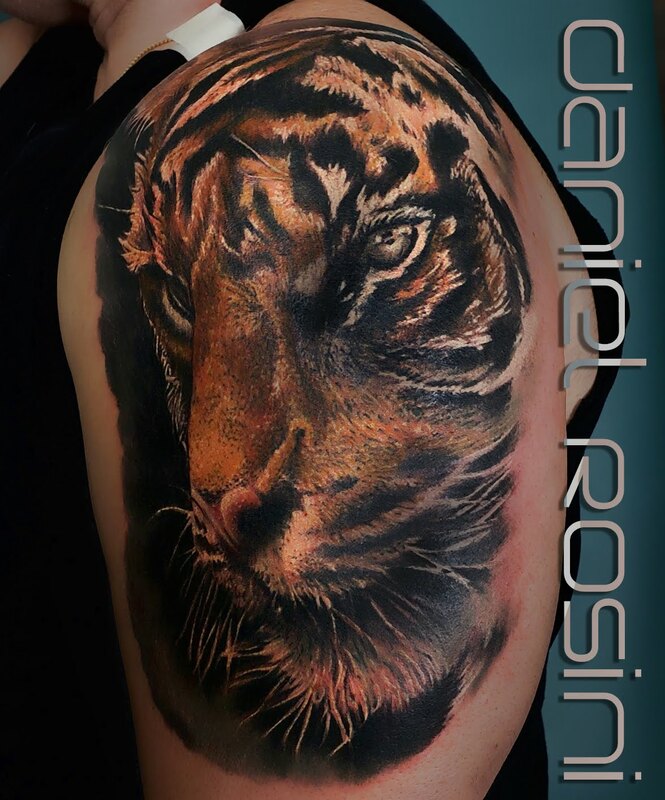 Engaged in the body modification and tattoo industry since 1995, Daniel Rosini (aka Danny Pain) has been servicing tattoo clients in the New Jersey area for over 20 years. 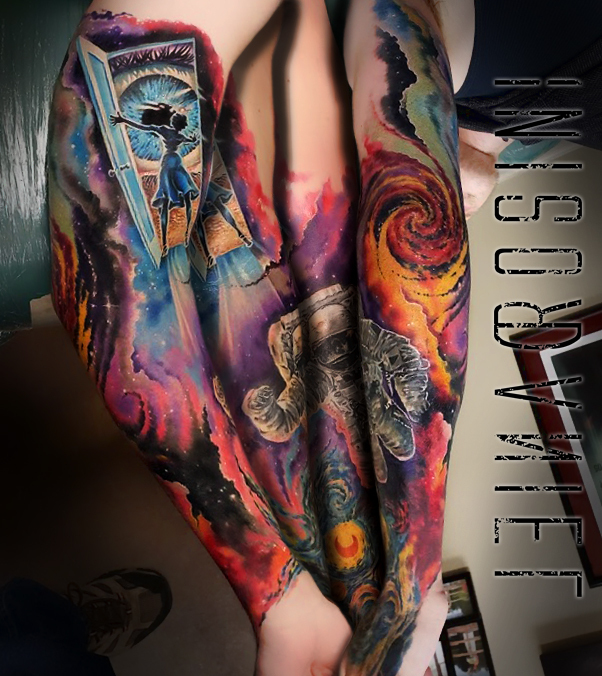 Experiences include traveling throughout the United States in the tattoo circuit, apprenticing future artists, and working conventions. 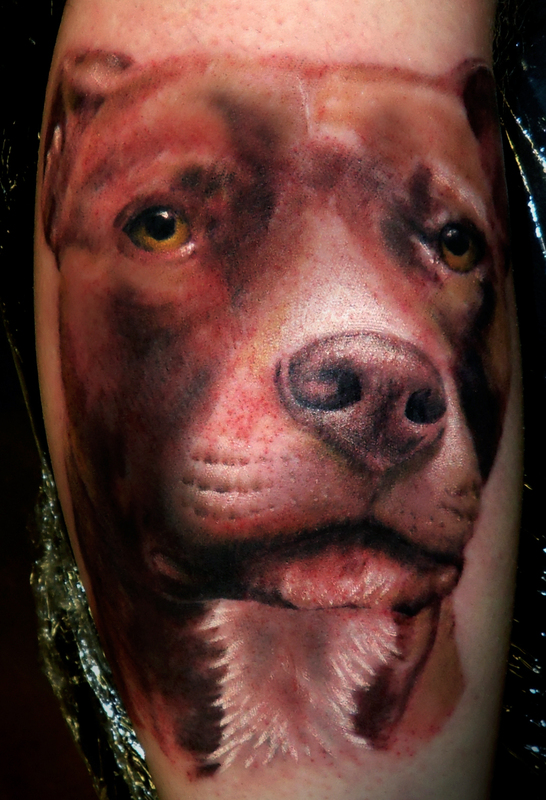 Additionally he holds leading awards for best color, and has hosted educational seminars around the United States. 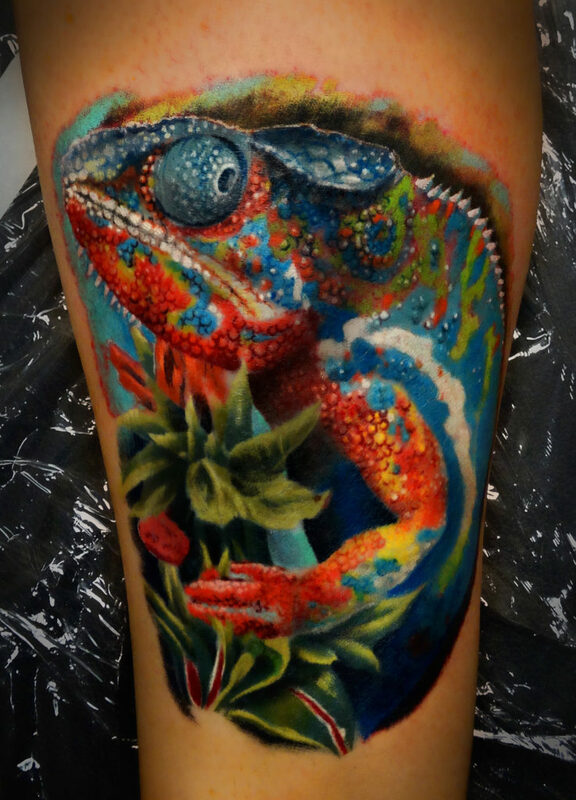 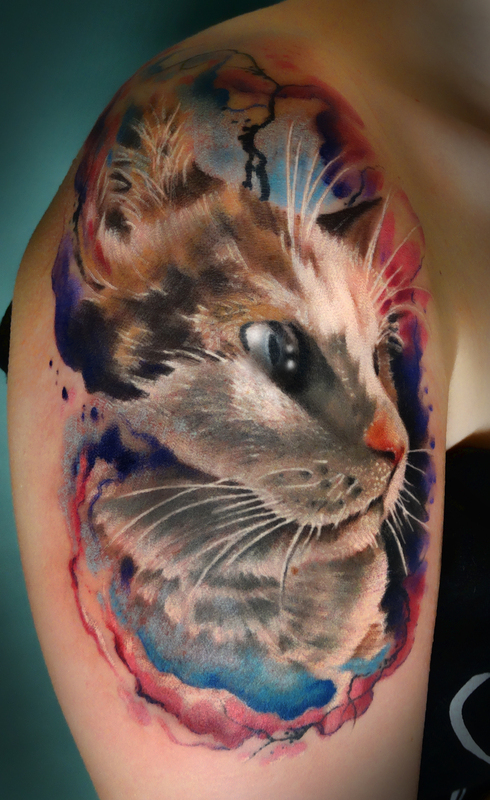 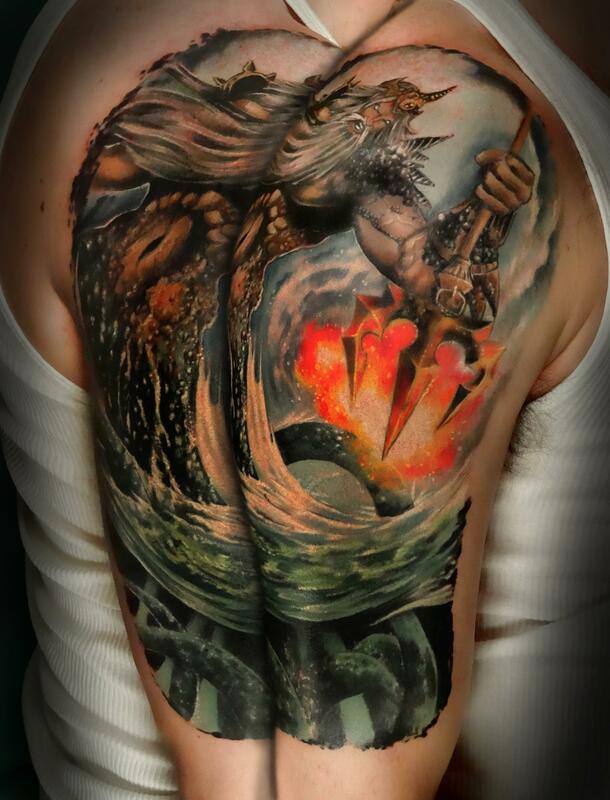 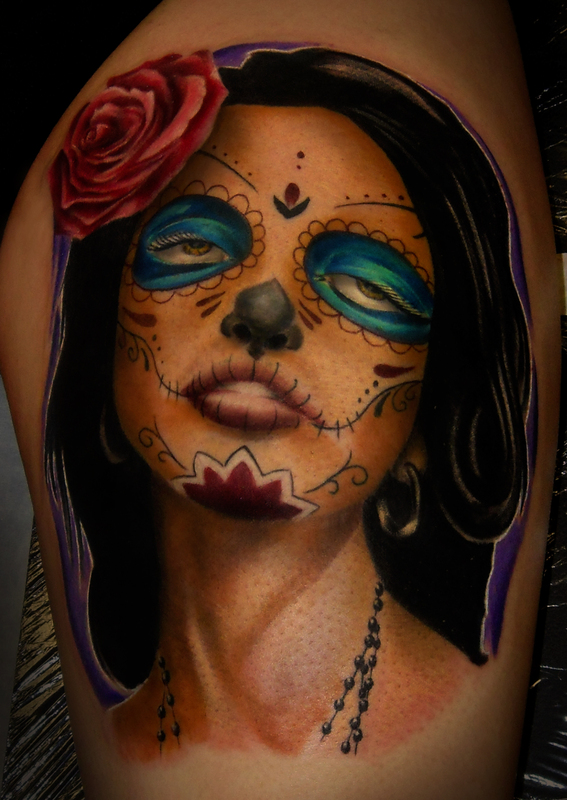 Specialties include imaginative color realism, black and grey, fantasy, and animal portraits. 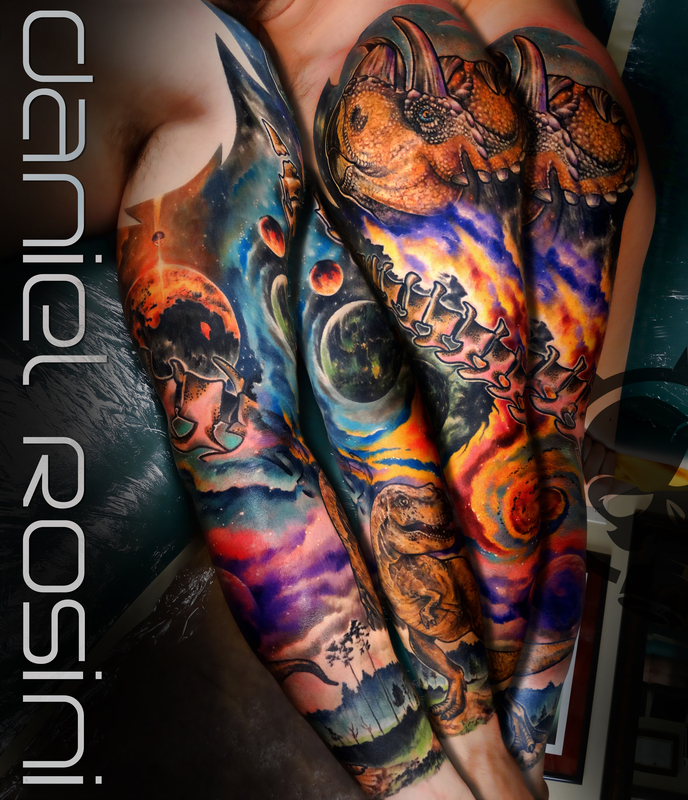 When viewing Daniel’s Portfolio you will be able to get a feel of what style type he enjoys working in. 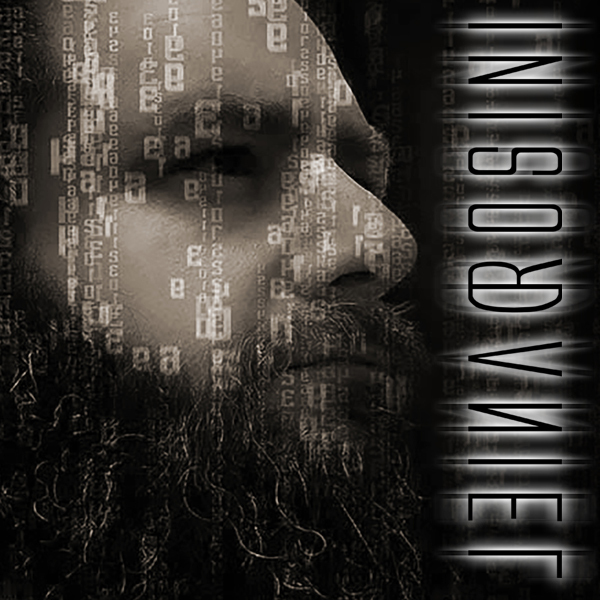 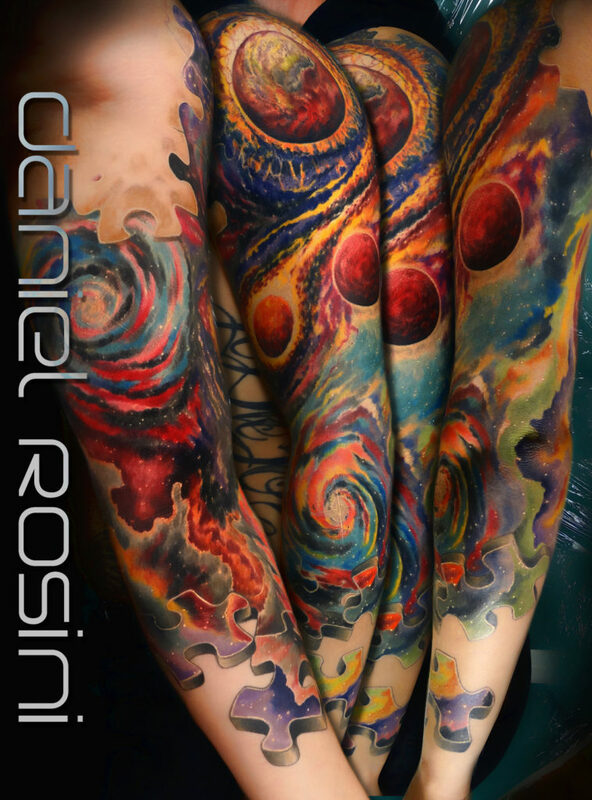 For a more updated look at his portfolio and current works please visit Daniel Rosini at his Personal Instagram Page, The The Rosini Gallery or even the Rosini Gallery Facebook Page . 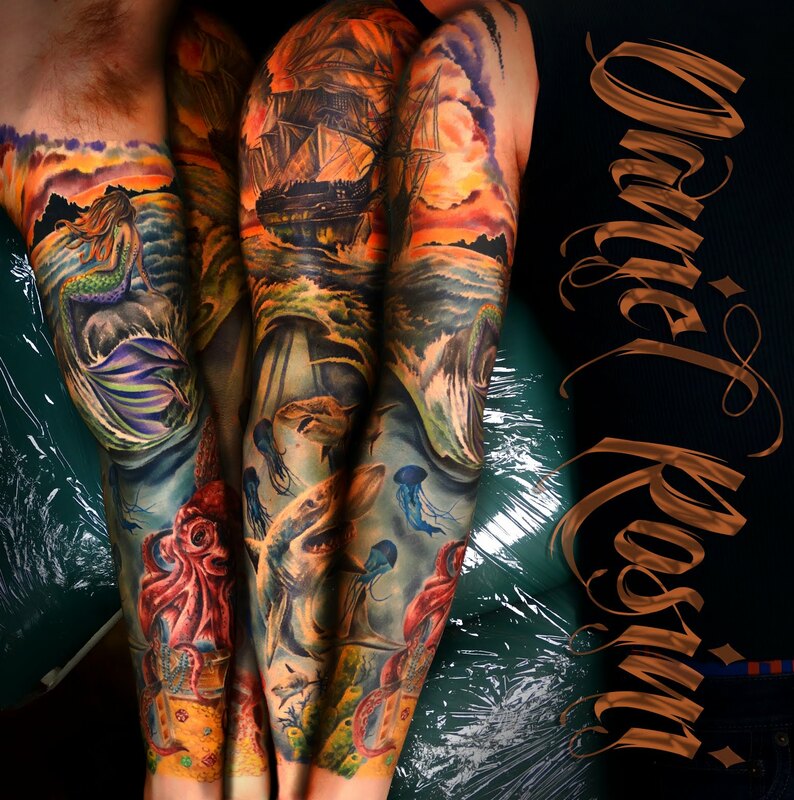 Skilled in Tattooing, Ring Designing, Business Management, and Graphic development. 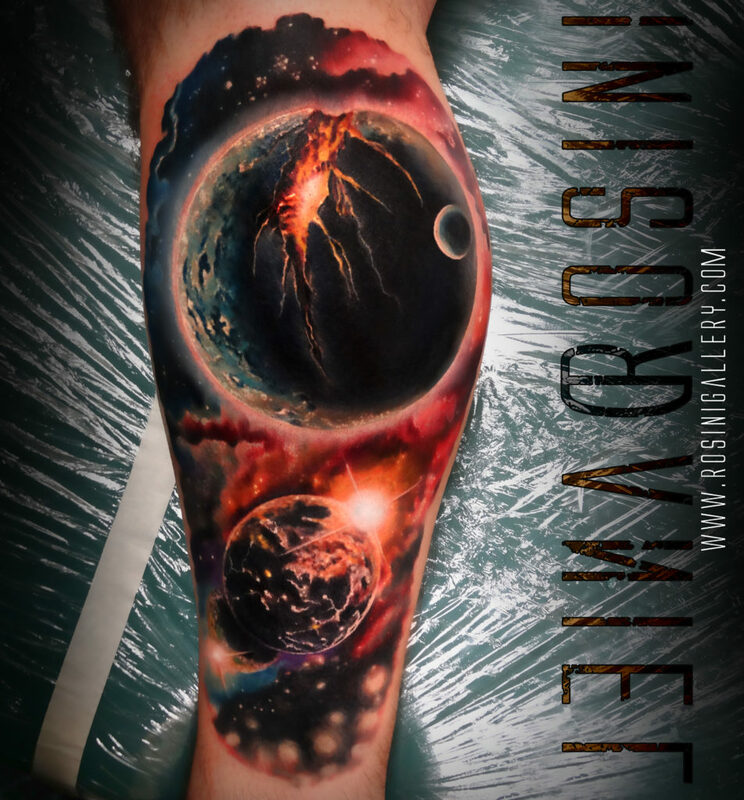 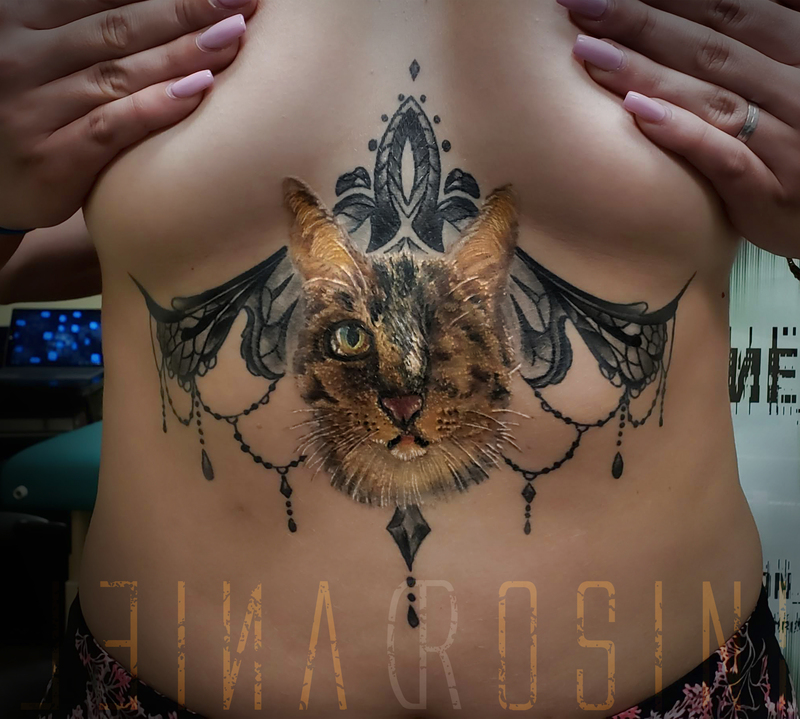 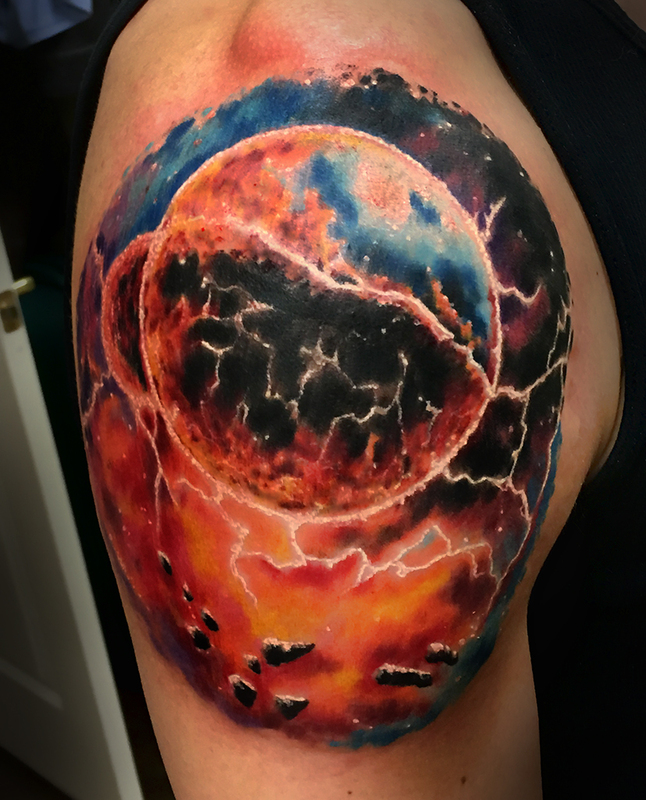 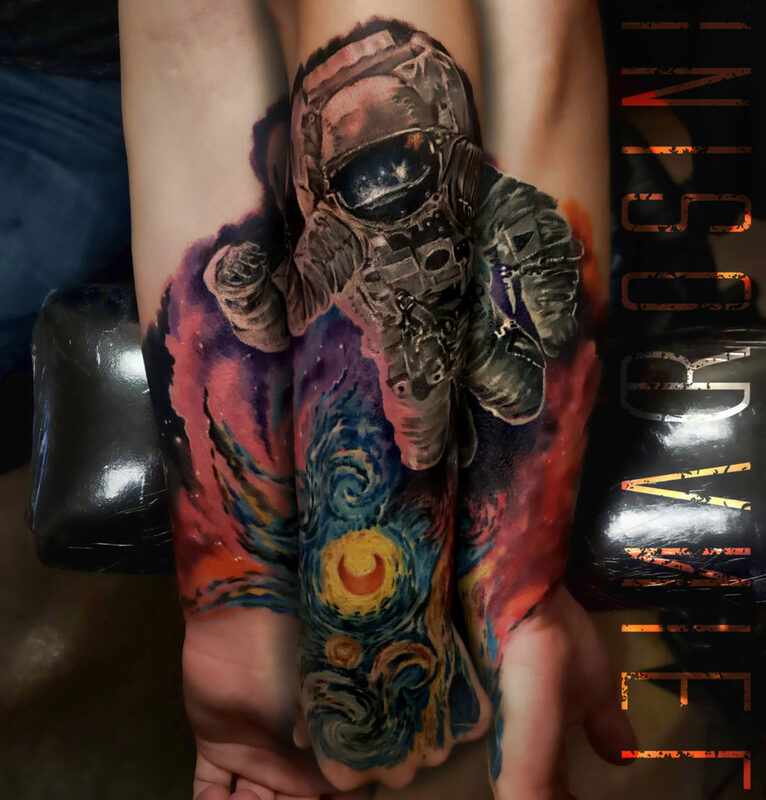 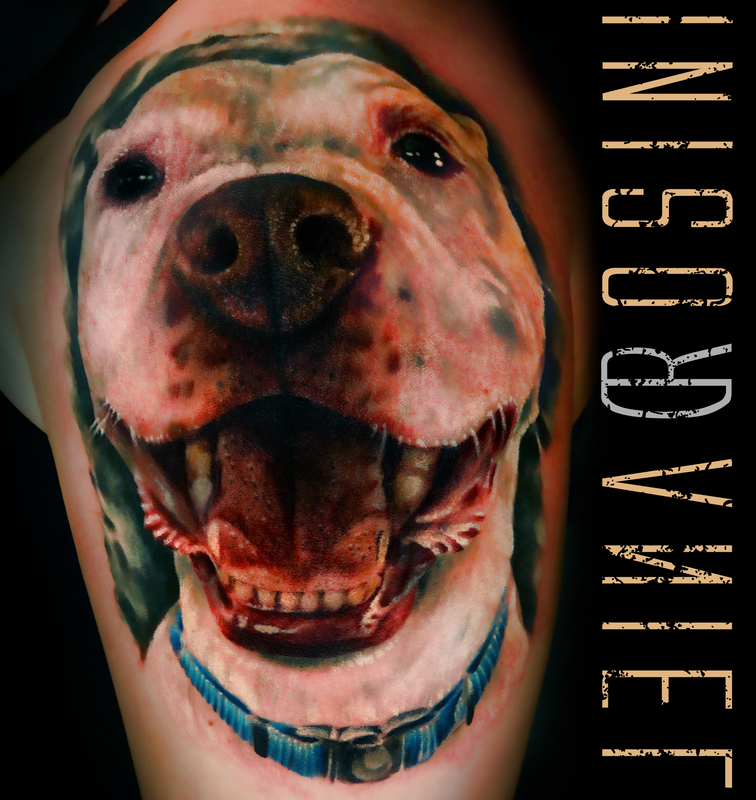 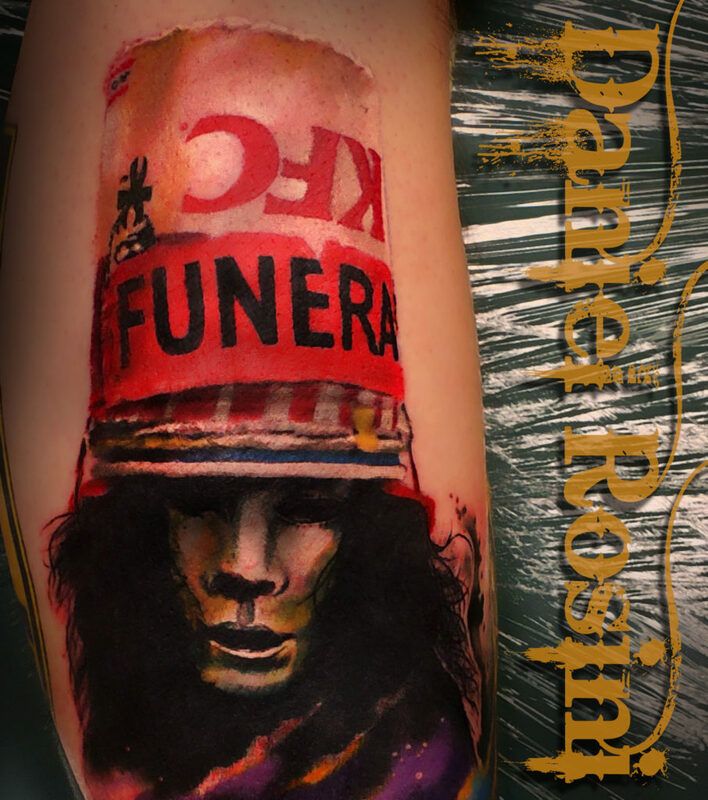 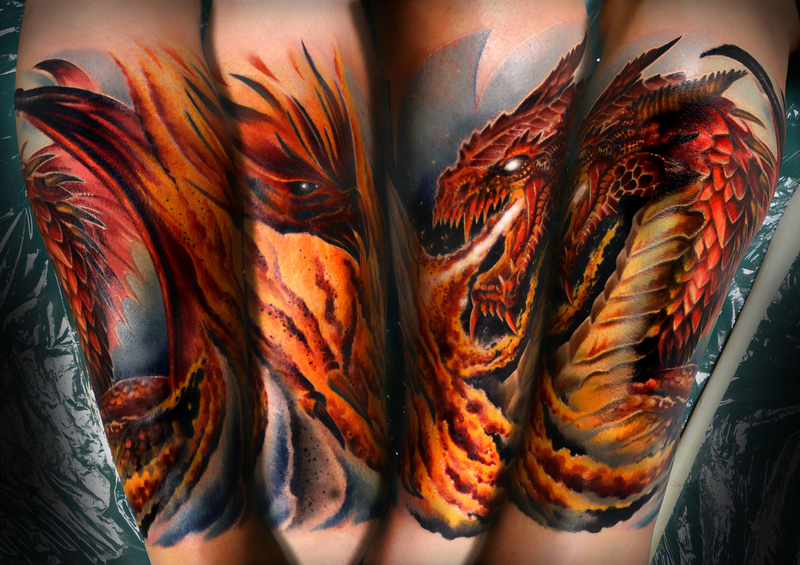 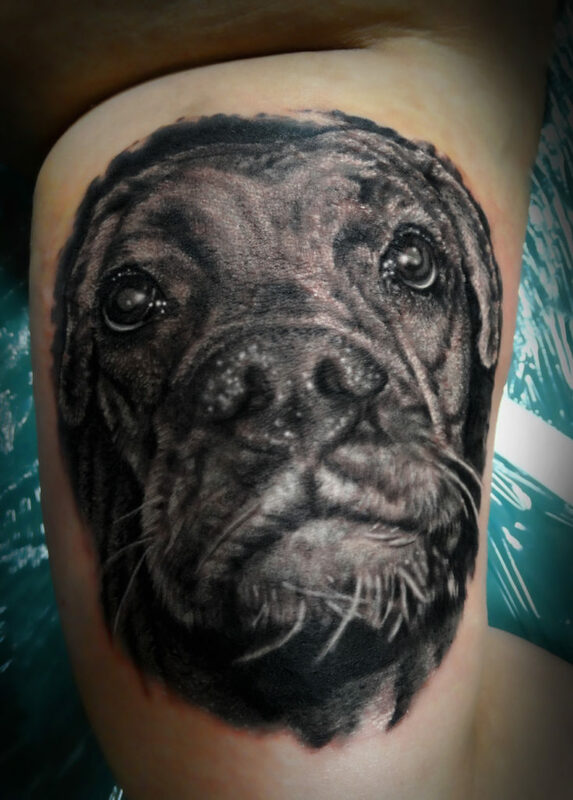 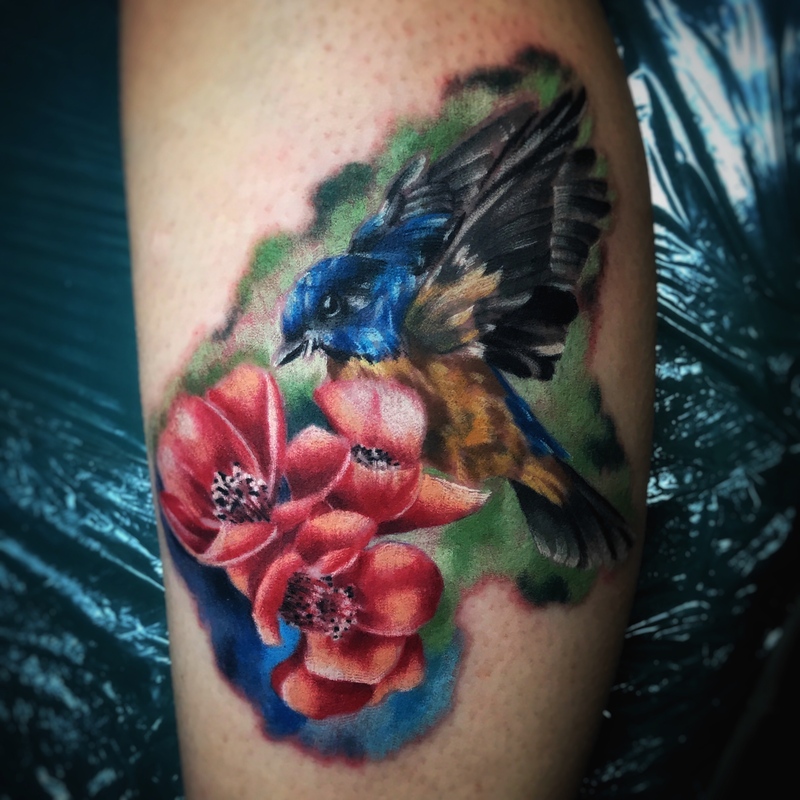 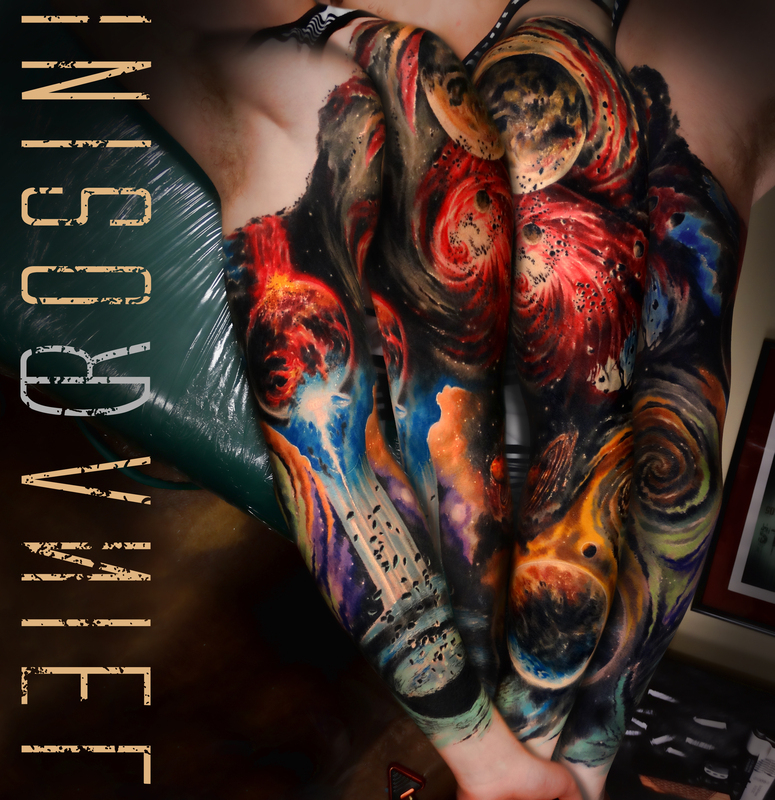 Comparatively, Daniel Rosini is an experienced business owner with a demonstrated history of working in the fine art industry as a tattoo artist. 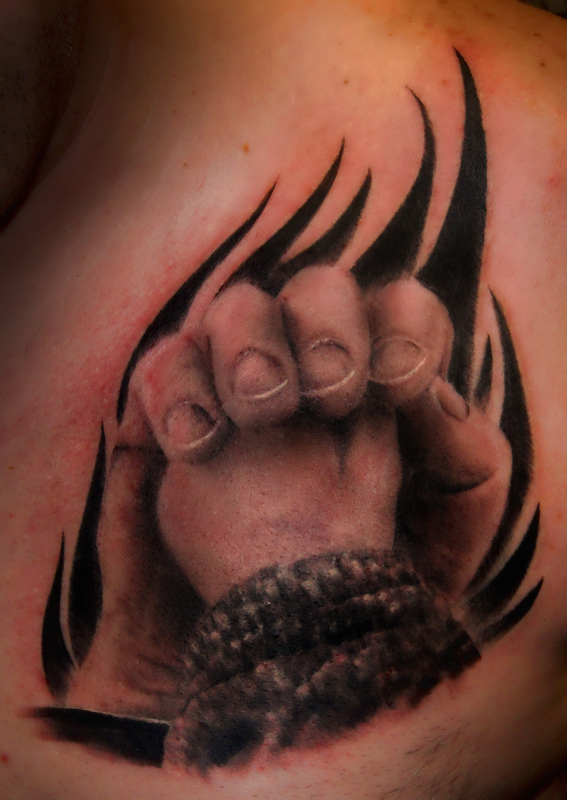 He is an arts professional with a background focused in marketing and hand crafted designing. 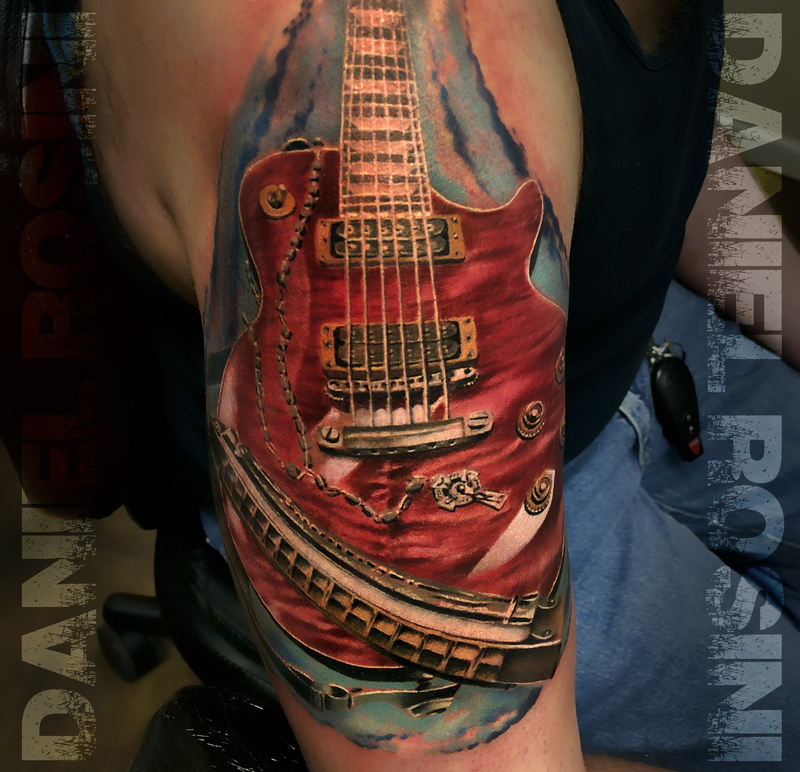 Daniel Rosini started an artistic journey when he was young. 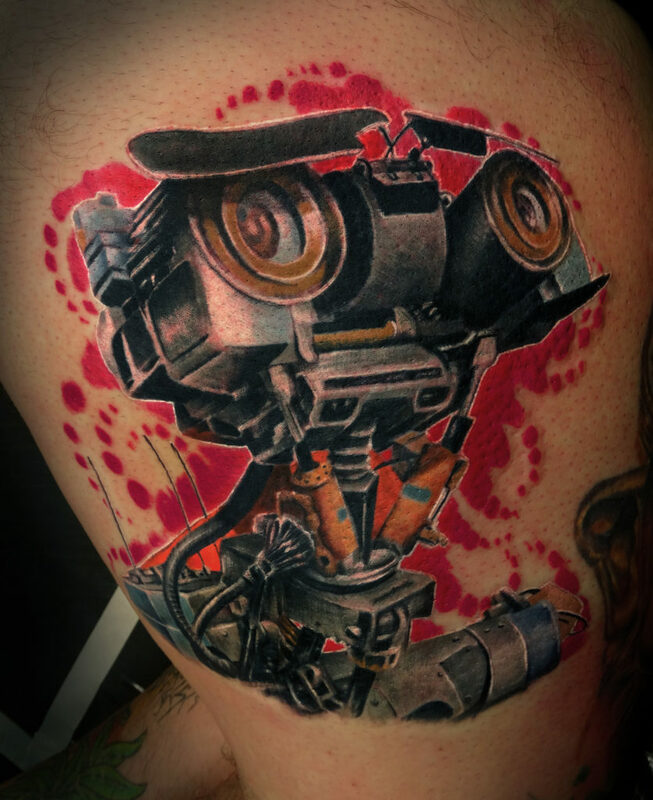 Just like most kids drew all the time, he made it a point to focus on this as a career. 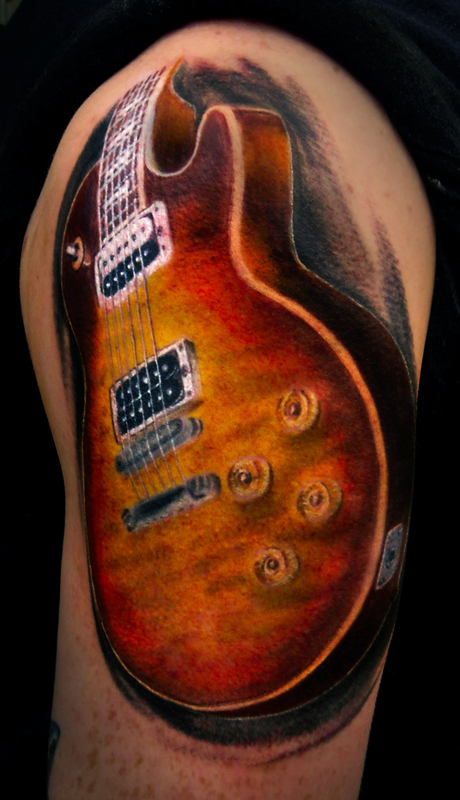 Something to make a decent living off of and something he could have fun with at the same time. 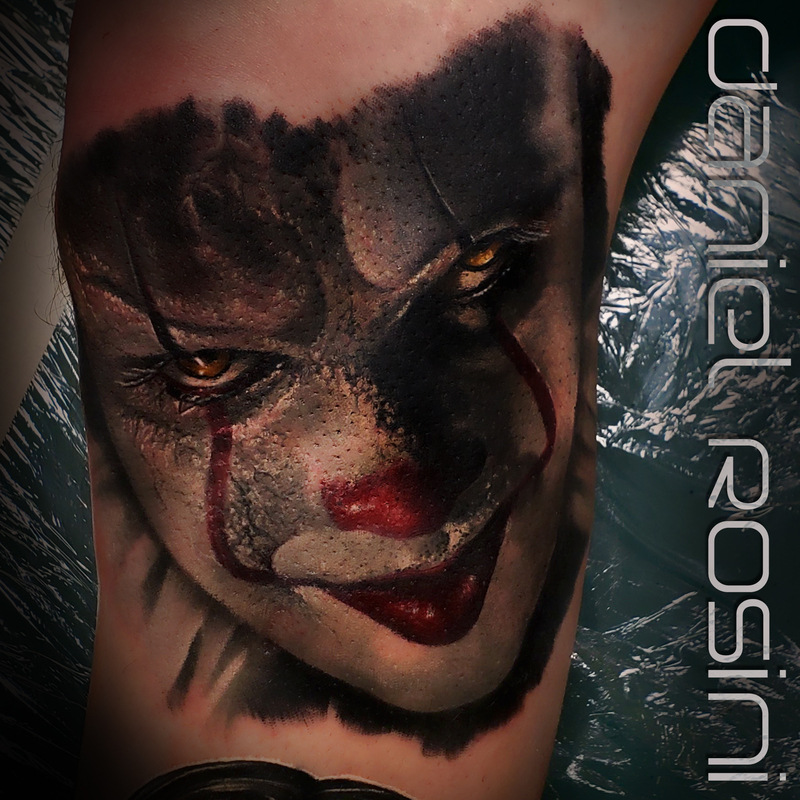 In 1995 Daniel became a tattoo artist. 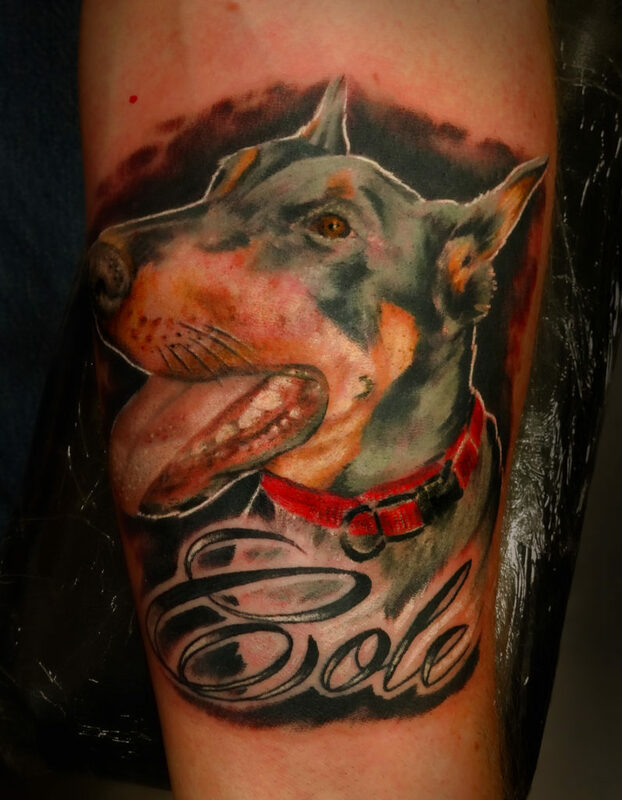 After about 10 years in the industry he decided to partner up and open a brand of studios that have proven to be very successful since they were opened back in 2006. 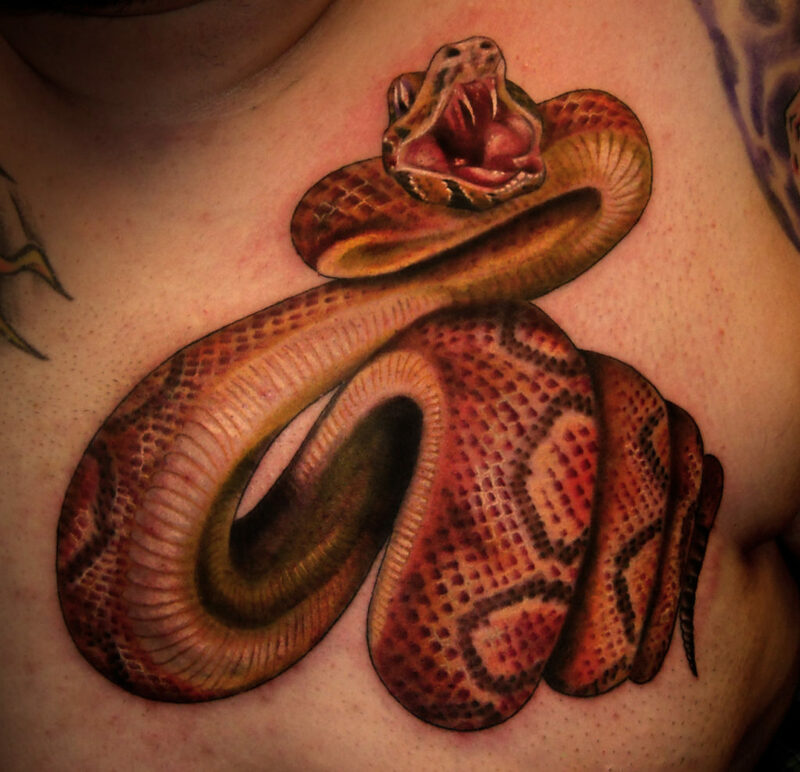 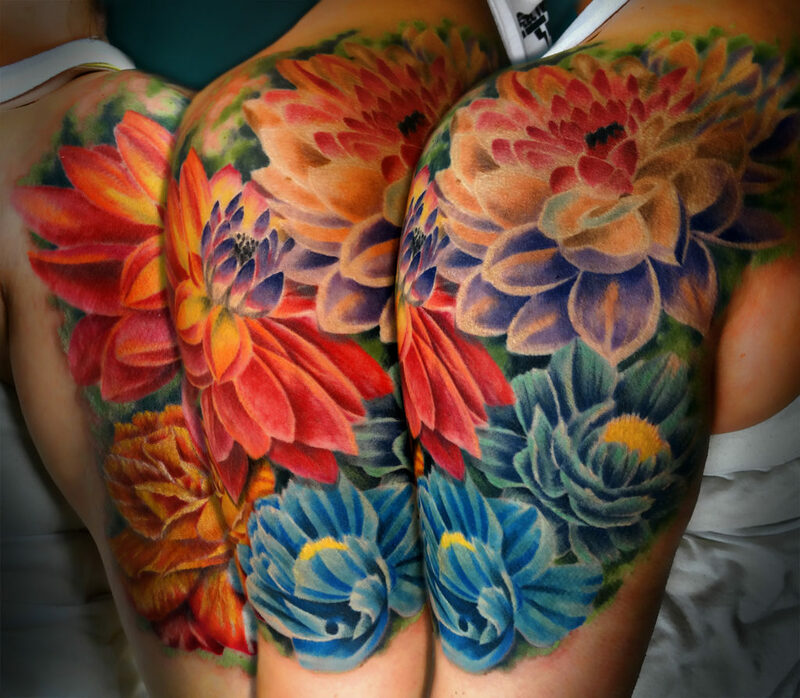 Pure Ink Tattoo soon grew to become one of the top studios to go to in New Jersey. 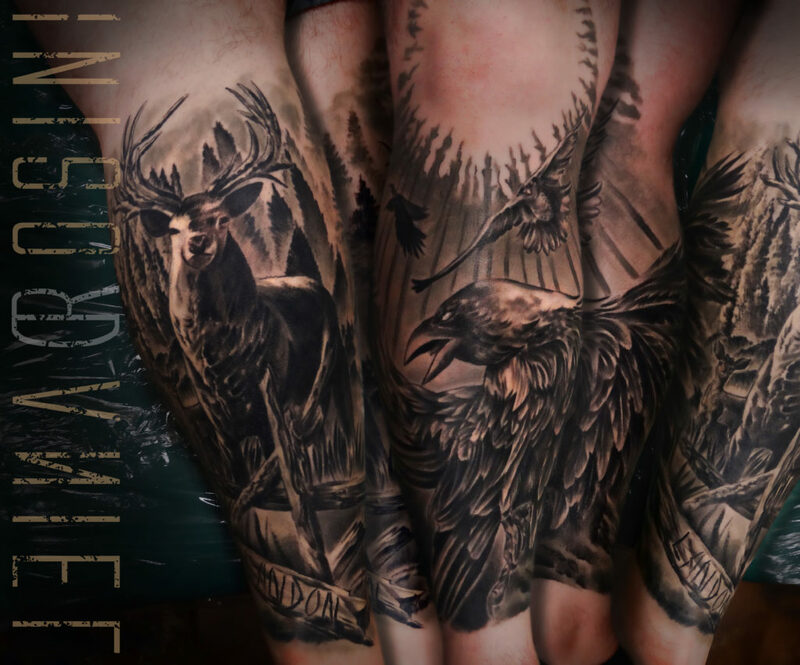 With a staff fully loaded with experience and a great attitude towards the arts, Pure Ink became what was sought out at the beginning – a true tattoo studio, up to date and highly talked about. 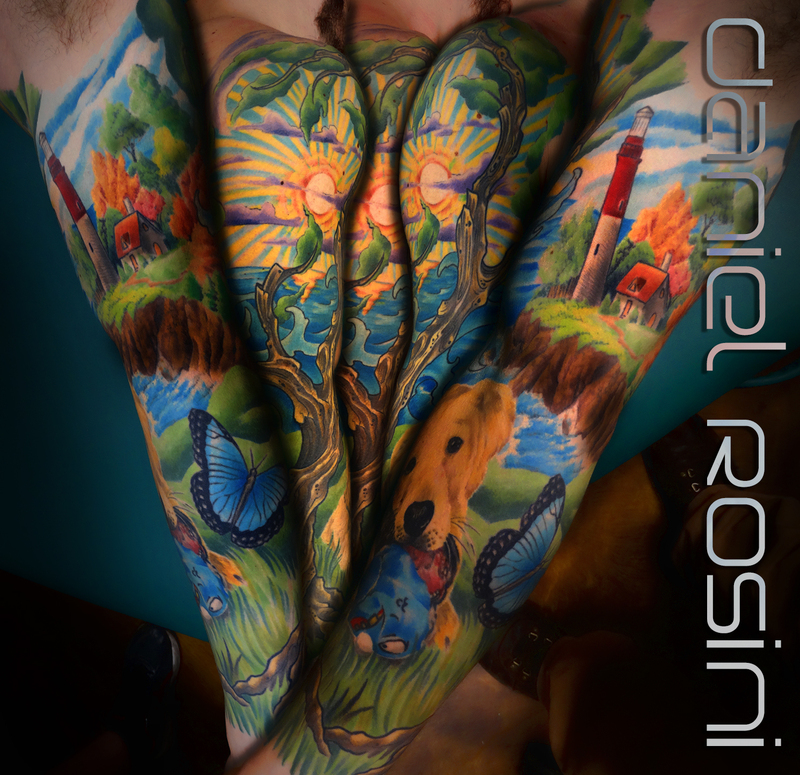 In addition to tattooing, Daniel Rosini offers some impressive handmade luxury rings. 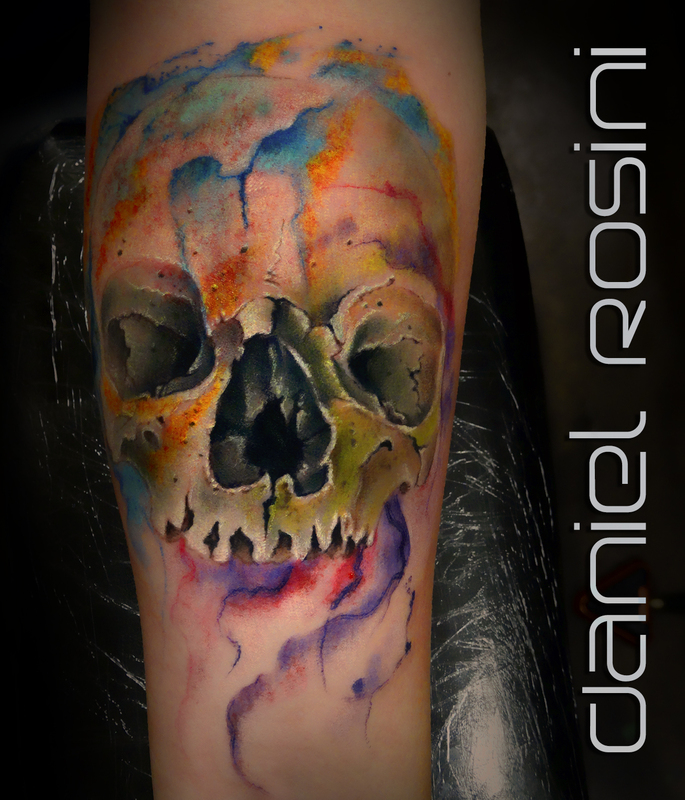 Check out his Store at the Rosini Gallery. 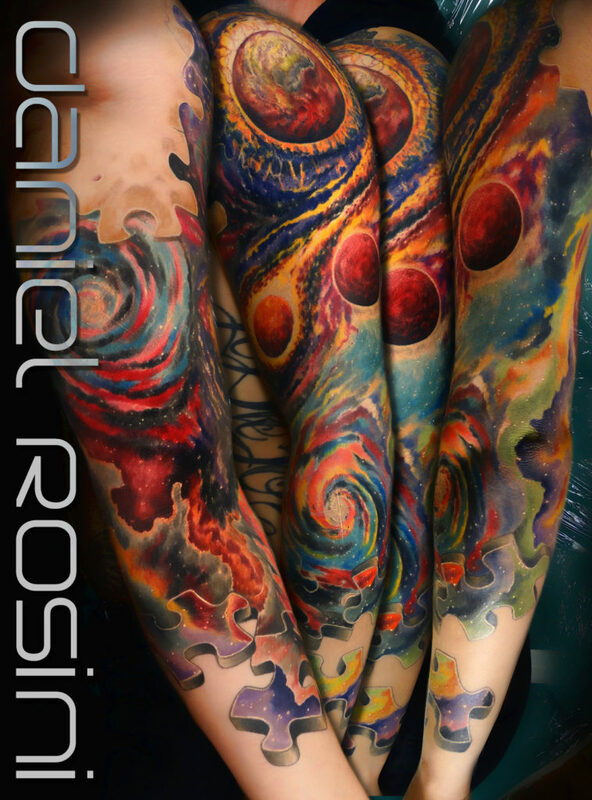 You can also read more about the history of Daniel’s art experience and how he ventured into the world of ring making in the About section of his website.